Your babymoon isn't the time to cross the globe or plan a weeklong road trip. You want your time in the car or plane to be minimal. Choose a place that you can reach through a short flight or reasonable drive. Your choice should give you more time to enjoy your destination while minimizing the discomforts you may feel when you're confined to a small seat with the potential for motion sickness. The best time for a babymoon is during your second trimester. By that time, you're usually beyond the queasy morning sickness phase yet still ahead of the too-bloated-to-walk phase. Talk to your obstetrician about your babymoon before you make any travel bookings. While most expectant mothers are fine to travel, only your doctor can OK your trip. Plan ahead for any medical problems that may arise while you're gone. Research hospitals and emergency facilities in the area where you'll be staying so that you know where to go if you need to find a doctor. Consider investing in a member travel protection program such as MedjetAssist for access to medical transportation, crisis response, and other critical services during your trip. Keep the phone number for your doctor close at hand and make sure your cell phone is always charged so that you're never without helpful advice when you need it. Consider your agenda carefully when you're planning a babymoon. While you want to have fun, you don't want to put too much strain on your body. The babymoon should be a restful vacation, filled with soothing activities. 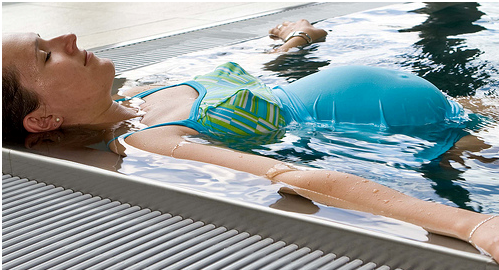 Look for spas that offer services for expectant mothers. Choose a hotel with ground-floor rooms or accommodations near the elevator. Intersperse walking attractions such as a museum or zoo with those that will let you to sit for some time, such as seeing a show at a theater. Speak to your obstetrician about which foods you should avoid during your travels. In less developed regions, travel experts generally advise you to avoid street food. Many doctors recommend avoiding certain types of seafood. Hydration is also critical during your babymoon. Order water with your meals and keep an extra water bottle on hand with you so that you can stay hydrated between meals as well. Allow yourself to indulge, but be smart about your choices to avoid complications later. A well-planned babymoon will give you the perfect opportunity to rest up for the months ahead. Take this time to treat yourself well and indulge in a leisurely retreat away from home. And when the baby comes, you can send out baby shower invitations through this website, everything is so easy, they are just a few clicks away. You can have more tips and information on baby showers for your family and friends in this post. Once again, congratulations to you and your family on your new arrival of a family member!